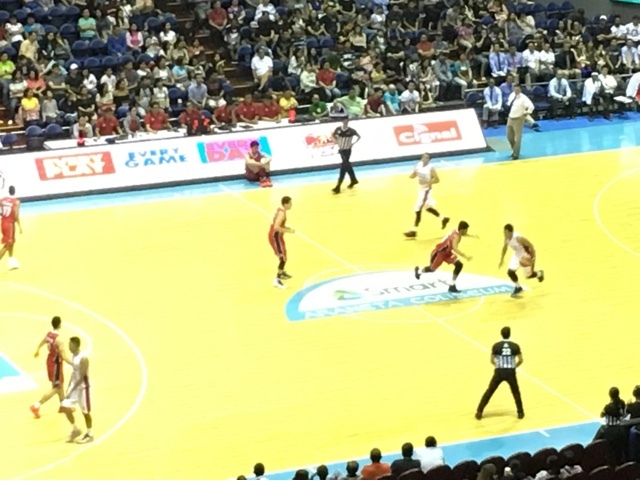 Combining the Philippine Basketball Association and Smart Araneta Coliseum is a noteworthy experience for first timers like me. 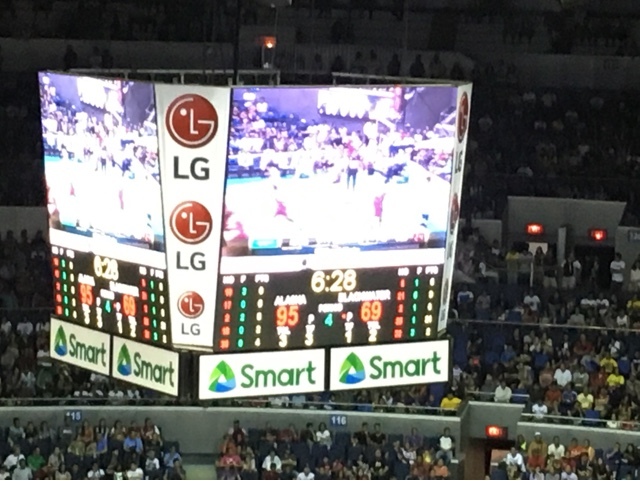 Araneta Coliseum is still the country's premier venue for major entertainment events despite the emergence of newer locations like the MOA Arena (where I saw One OK Rock) and bigger ones like the Philippine Arena where I witnessed the #TamangPanahon concert for ALDUB. The Araneta Center had even added new halls like the Kia Theater (I saw it during Charlie Puth's concert), but nothing beats The Big Dome. 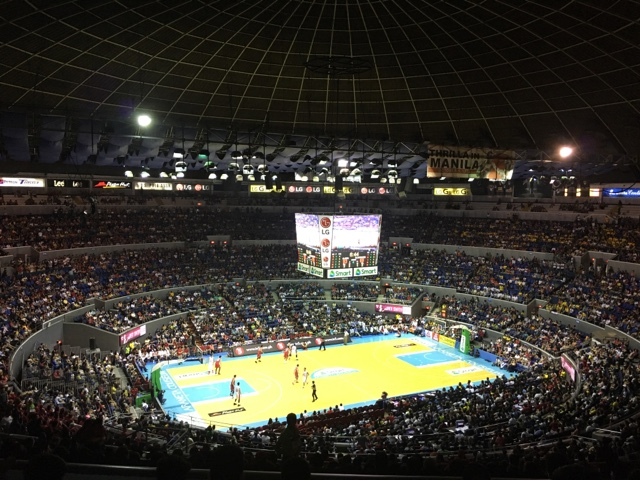 Araneta Coliseum is really immense inside. It's nowhere close to the other venues I've seen, yes, even the gigantic Philippine Arena. While the Big Dome's old structure is quite evident in the wooden wall and ceiling/fixture overhead, it's still majestic; specially for people like me who grew up in the province and watch PBA from home only. I've seen PBA since black and white TVs were still popular and having a unit makes your family considered better off than most provincial homes back then. 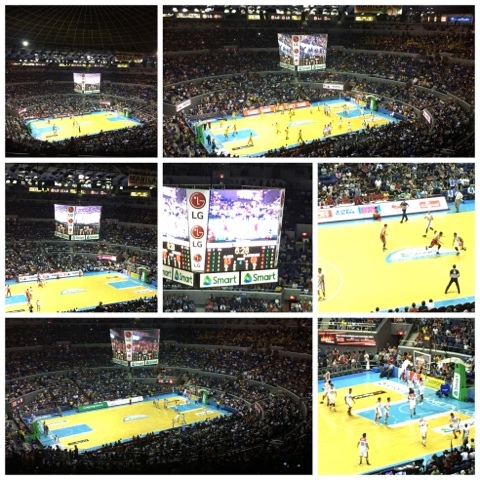 It was a Sunday when we incidentally was around the Araneta Center so we decided to take a peek inside. 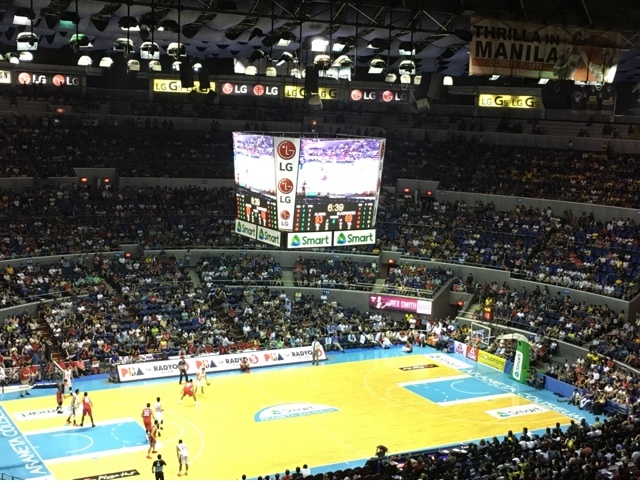 The only tickets left were for the General Admission as well as lower levels (standing). Up there, my phone can still detect LTE Internet connection and nearby Pokémon Go stops. I can also see the basketball players clearly and recognize who they are from afar, so I see nothing wrong with being seated all the way up there. The photos below were the most my phone can zoom in for, sadly. The coliseum was also full packed that time. 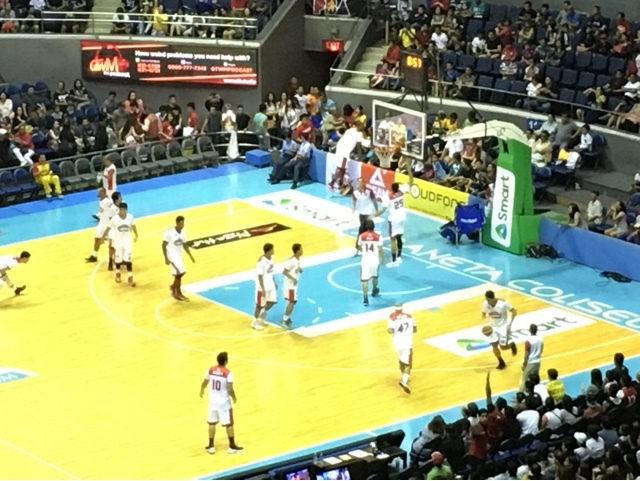 It was most likely because it was a Sunday and Barangay Ginebra was scheduled to play. Looks like nothing had changed even after over a decade. This team still draws the crowd during it's plays.